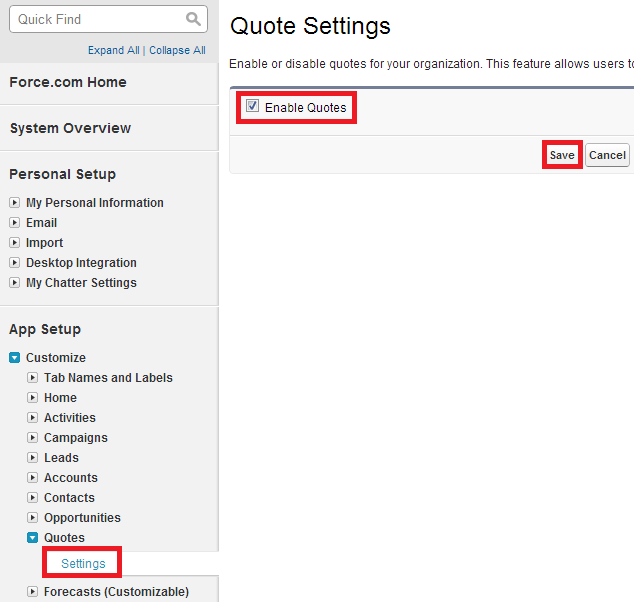 How to enable quotes in Salesforce? Using Hard Delete operation, we can delete existing records from our Salesforce organization permanently. Deleted records will not be available in Recycle Bin. 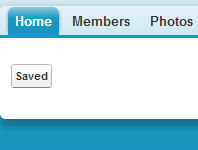 “Bulk API Hard Delete” check box should be enabled in user profile for permanently deleting the records. Upsert opeation makes use of the sObject record's primary key(Salesforce.com Record Id) or the external ID, if specified to determine whether new records should be created or else we have to update the existing records. If the key is not matched, then a new record is created. If the key is matched once, then the existing record is updated. If the key is matched multiple times, then an error is generated and the object record is neither inserted nor updated. How to remove space from a string in Salesforce? deleteWhitespace() is used to remove spaces in a string in Salesforce. SOQL(Salesforce Object Query Language) is used to build a query to fetch data. As we write a query in SQL(Structure Query Language) with the columns and a table, here in SOQL we write the queries with the fields and an Object. How to check whether my Batch Apex or Future Method or Scheduled Apex completed in Salesforce? 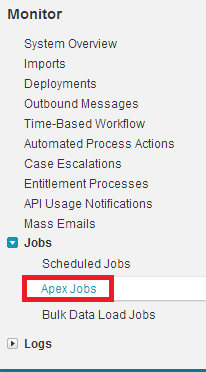 Go to Set up --> Jobs --> Apex Jobs to check whether my Batch Apex or Future Method or Scheduled Apex completed. 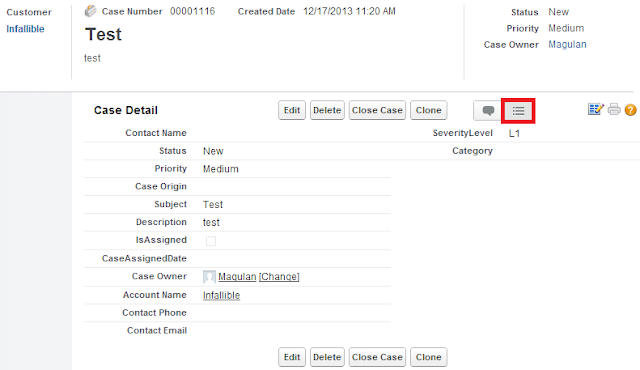 Create records for Custom Setting to avoid null values from Custom Settings in Test class in Salesforce. � Involved in coding, testing, debugging.� Responsible for delivery of assigned work, under a module lead or team lead supervision. Needs to understand technology and quality processes within Cognizant. Bachelor’s degree in Engineering or Science graduates with 0-4 years of experience. How to disable and enable button in Visualforce page in Salesforce? We have to calculate total scope on Big Machine object, which should be the sum of all scope in Structure__c object. 1. Never use SOQL and DML inside for loop. 2. Never hard code values inside the apex classes. Make use of Custom Label or Custom Component. here the controller is referred to a page where the standard controller is Account. CurrentStatus is similar to posting your current status in Facebook. If we create a Post in Facebook, it will be available in your posts. Similarly whenever this current status is updated, a new Post will be posted in your chatter. 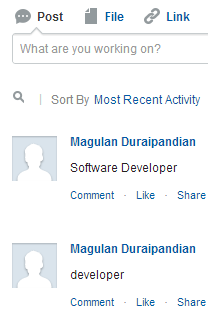 If you update this field, the API automatically adds a post of type UserStatus on the user’s profile in Chatter. This field is deprecated in API version 25.0. To achieve similar behavior, post to the user directly by creating a FeedItem with the user’s ParentId. 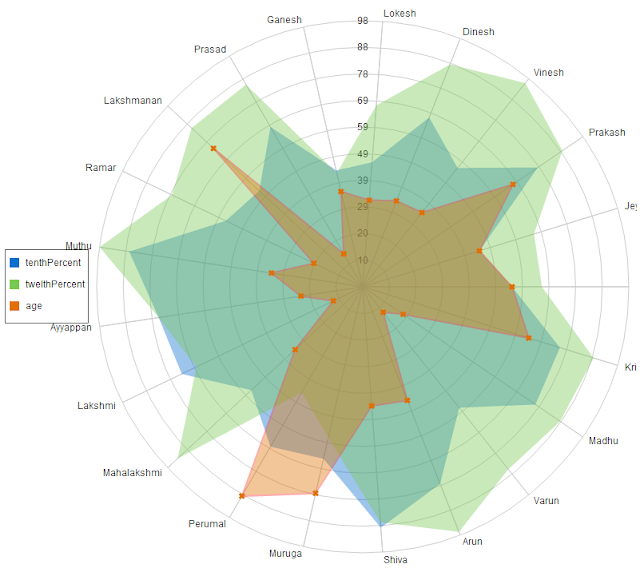 QlikView is the most flexible Business Intelligence platform for turning data into knowledge. More than 24,000 organisations worldwide have enabled their users to easily consolidate, search, and visually analyse all their data for unprecedented business insight using QlikView’s simplicity. Effective decision-making is based on having the right information available and easy accessible. Taking just minutes to learn, the automatic associations of QlikView create endless possibilities for making ad hoc queries without requiring tediously defined structures and hierarchies, as is typical in other data analysis tools. QlikView promotes unrestricted analysis of application data, helping users make time-saving and accurate decisions. It brings a whole new level of analysis, insight, and value to existing data stores with user interfaces that are clean, simple, and straightforward. Capgemini is one of the world’s foremost providers of consulting, technology and outsourcing services. Present in 40 countries with more than 120,000 employees, the Capgemini Group helps its clients transform in order to improve their performance and competitive positioning.We offer an array of integrated services that combine top-of-the-range technology with deep sector expertise and a strong command of our four key businesses. 1. 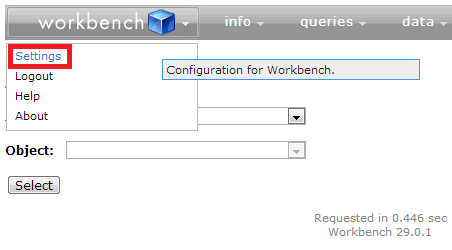 Go to the Workbench setting. 2. 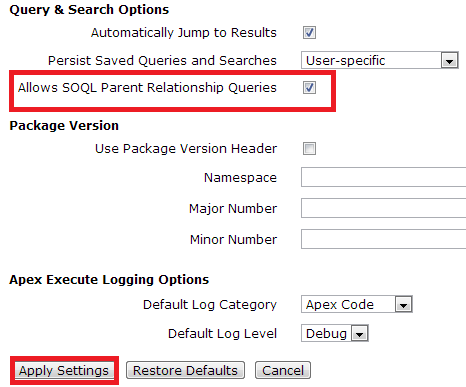 In Query & Search option, check "Allows SOQL Parent Relationship Queries" check box and click on apply setting. You will be able to access the parent relationship queries. Workday.com is an on‑demand (cloud-based) human capital management and financial management software vendor. It was founded by David Duffield, the founder and former CEO of the ERP giant PeopleSoft, and former PeopleSoft chief strategist Aneel Bhusri following Oracle's hostile takeover of PeopleSoft in 2005. It targets the customers of rivals Oracle or SAP by offering them "online services at a fraction of the cost of upgrading from their incumbent vendors". Workday is the leader in SaaS-based enterprise solutions for human resources, payroll and financial management, providing new levels of business agility for a fraction of the cost of buying, deploying and maintaining legacy on-premise systems. Workday Human Capital Management and Workday Financial Management use modern, standards-based technologies to provide an unparalleled level of agility, ease-of-use, and integration capability. For more information about Workday, kindly visit www.workday.com. 1. Go to Developer Console. 2. Go to Test --> New Run. 3. 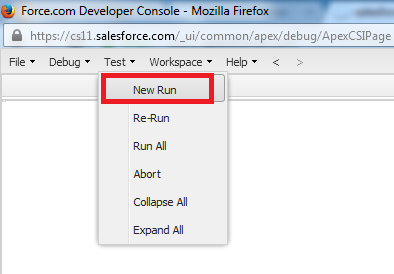 Select the Test class and click "Run" button to run the test.